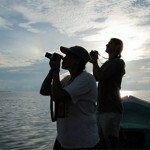 Since the middle of August we have been watching the migratory birds slowly show up around Tranquilo Bay. The first ones to come this year where Northern Waterthrush (Seiurus noveboracensis), Black-and-white Warbler (Mniotilta varia), Yellow Warbler (Dendroica petechia), Plumbeous Kite (Ictinia plumbea), and Prothonotary Warbler (Protonotaria citrea). A few days ago, I got to see the first group of Red-eyed Vireos (Vireo olivaceus). Once the Red-eyed Vireos are around, the migration gets really heavy. We are all ready to enjoy this fall migration. 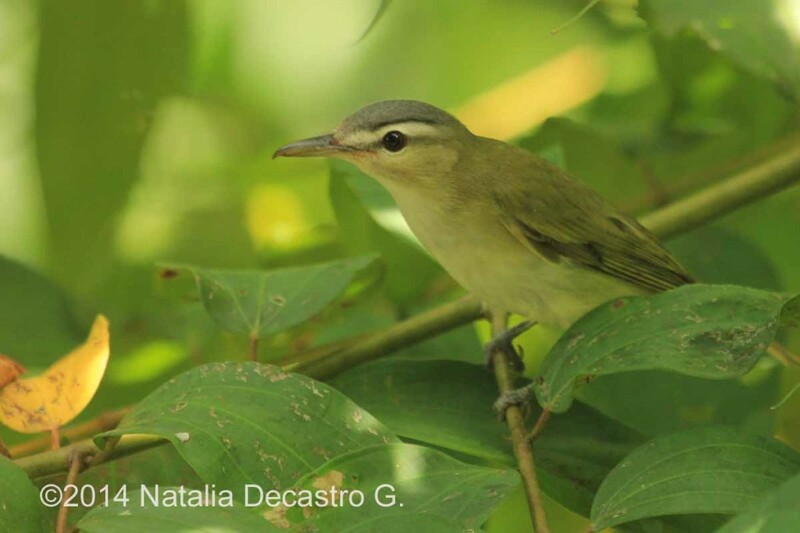 This entry was posted in Birding, Bocas del Toro Panama, Photographs, Western Caribbean Slope and tagged Red-eyed Vireo by Natalia. Bookmark the permalink.